The Pacific Surfliner travels 351 miles through a six-county coastal region in Southern California. Enjoy beautiful ocean views as you relax in large, comfortable chairs. Grab a cold craft beer and snack from our Cafe car. Take advantage of free AmtrakConnect Wi-Fi available during your trip. And with service to countless destinations, your options are endless. 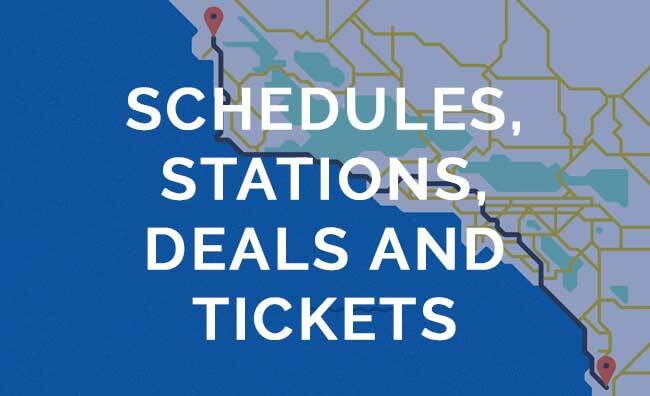 Schedule and station information is available at pacificsurfliner.com.